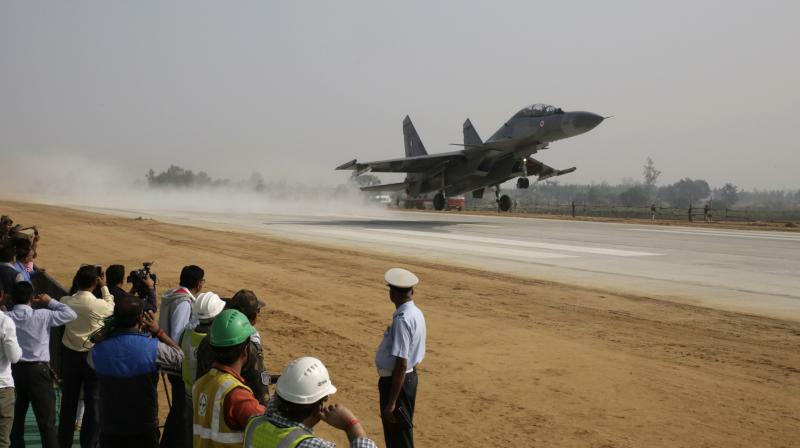 A Smart Anti-Airfied Weapon (SAAM) system was tested at the integrated test range in Chandipur. It can be attached to fighter aircrafts and can be fired at targets which are within 100 kilometre radius. SAAM was developed by Defence Research and Development Organisation (DRDO). The United Nations’ Security Council has passed a resolution condemning the Israeli settlements in Palestinian territories including West Bank and East Jerusalem. Israel rejected the resolution and fears that several countries may impose sanctions against it. The Security Council has five permanent members (US, Russia, UK, China, & France) and ten non-permanent members elected by the General Assembly for a two-year The permanent members have the power of vetoing any resolution they want to block. In the present case, the US was expected to block this resolution as it is seen as Israel’s ally. But, the US abstained from voting. This made the Israeli Prime Minister, Benjamin Netanyahu, furious. President of Palestine, Mahmud Abbas, welcomed the resolution. Prime Minister Narendra Modi has performed ‘Jal Pujan’ to start the construction of a memorial for Chhatrapati Shivaji off the Mumbai coast in the Arabian Sea. The aim is to build a 210-metre tall statue on a 16-acre island artificially constructed for this purpose. It will cost only 3,600 Crores. The Central Government had set-up an Inter-Ministerial Task Force to look into the Indus Water Treaty. It is chaired by the Prime Minister. It had its first meeting where strategic issues of the Treaty were discussed. Indus River basin has six rivers: Indus, Chenab, Jhelum, Sutlej, Ravi, and Beas. The Indus Water Treaty, signed in 1960, by the then Prime Minister Jawaharlal Nehru and Pakistan’s President Ayub Khan. The Treaty stipulates that Indus, Chenab, and Jhelum will supply water to Pakistan, while Sutlej, Ravi, and Beas to India. The Treaty is seen as an example of how good understanding even between the most fierce of enemies can cause peace. But now, the Central Government is thinking to use this Treaty has a card to stop Pakistan’s terrorist activities. It is rumoured that India might block Pakistan’s rivers to force Pakistan to give up support to terrorist groups. However, this will be a violation of International Law. The Task Force has discussed various matters one of which was the Tulbul Navigation Lock Project. This project which may generate electricity upto 8,500 MW was stopped due to objections from Pakistan. But now that those objections have been turned down by the Arbitration Tribunal, India can resume the construction of this project. Enemy Property (Amendment) Ordinance was promulgated for the fifth time by President Pranab Mukherjee. The Ordinance amends the Enemy Property Act, 1968 to ensure that property which was taken over by the Government from Pakistani and Chinese Citizens does not go back to them or their heirs. Such property is held by the Custodian of Enemy Property which is a Central Government’s office. An Ordinance is a temporary way of passing a law. Article 123 of the Constitution states that when both the houses (both, remember!) are not in session, then the President can promulgate an ordinance to make a law. Such ordinance will expire in six weeks from the time both the houses come back in session. Ordinances are promulgated by the President at Centre and Governor at States. But they are done so on the aid and advice of their Council of Ministers which is binding. Hence, the Prime Minister and his Council of Ministers have the real power to promulgate an ordinance. India’s longest Expressway connecting Agra and Lucknow was inaugurated. It is 302 Kilometres long, has six-lanes, and also a 2 kilometre stretch reserved for fighter jets to land in emergency situations. If you intend to drive, be careful. You also have planes to look for. Click here for a picture. Maharashtra became the first State to launch a 24×7 helpline for forest Forest fires, illegal trade of forest produce, etc. can be reported on this helpline. The President of the USA, Barack Obama, gave assent to National Defence Authorization Act which was passed by the Congress. The Act recognizes India as a ‘major defence partner’ of the US. This will improve India-US cooperation especially in the defence field. India won bronze at the Under-18 Women’s Asia Cup Hockey. India won the Asia Cup Under-19 Men’s Cricket defeating Sri Lanka in the finals. Thank you…but I need quiz too…please post quiz..
heyyy thanks, why do we not have quizzes?